JOIN THE NAUGHTY LITERATI TODAY! 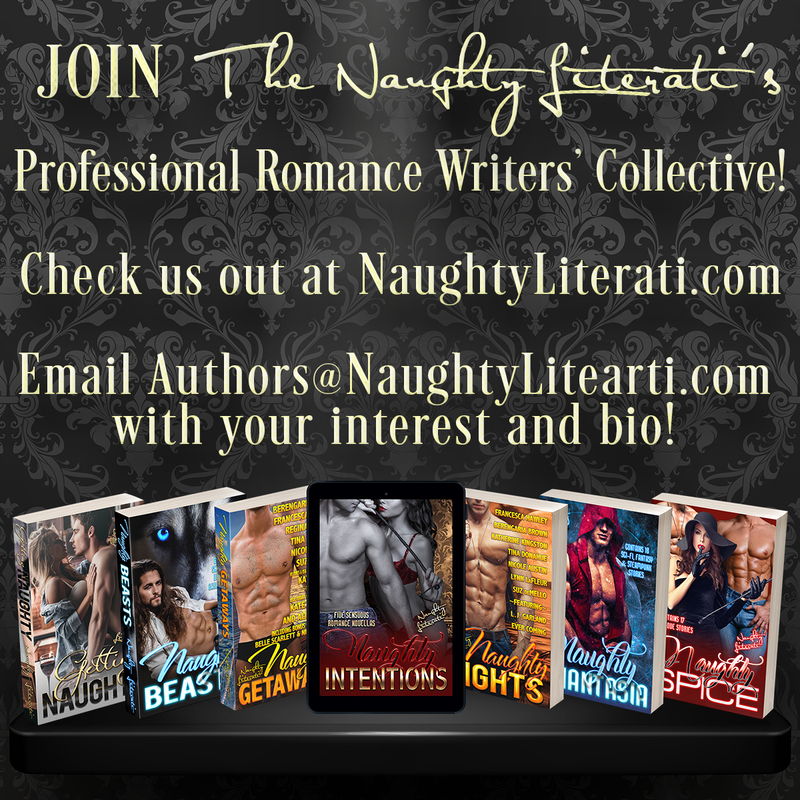 Whether you’re here because you’d like to join as a Naughty Literati Member Author or you wish to submit your work as Naughty Guest Author for our exciting, upcoming projects in 2019, we’re glad you want to be naughty with us! Naughty Literati is an all author-run book writers’ collective founded in 2013 after our publisher went under leaving our contractual and book rights up in air for months. Since then, while we’ve all gone on to indie or traditionally publish at other places, we’ve continued to find many extra benefits and joys in working collegially together to write, publish, and promote our own works under the brand Naughty Literati. By working together to build and expand our brand and put out excellent boxed sets to showcase our writing talents, we’ve all gained a higher audience reach for both our solo stories and Naughty Literati boxed sets, and we received royalties we wouldn’t have otherwise had. BE NAUGHTY AND SUBMIT TODAY!